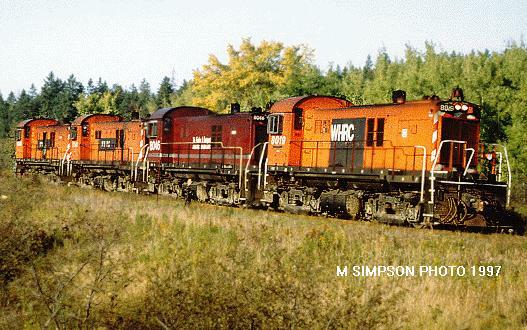 The Nova Scotia-based W&H rosters 12 ex-CP MLW RS23 (8019, 8023, 8026, 8027, 8034, 8036, 8037, 8038, 8040, 8041, 8045, 8046). They see use on an ex-CP line between Windsor and Hantsport. In the past months and years there was rumor that W&H would replace them with EMDs. So far (thankfully) nothing has happened.